Belgrade Book Fair is the most prominent local and one of the most recognized European events dedicated to literature and the art of writing. 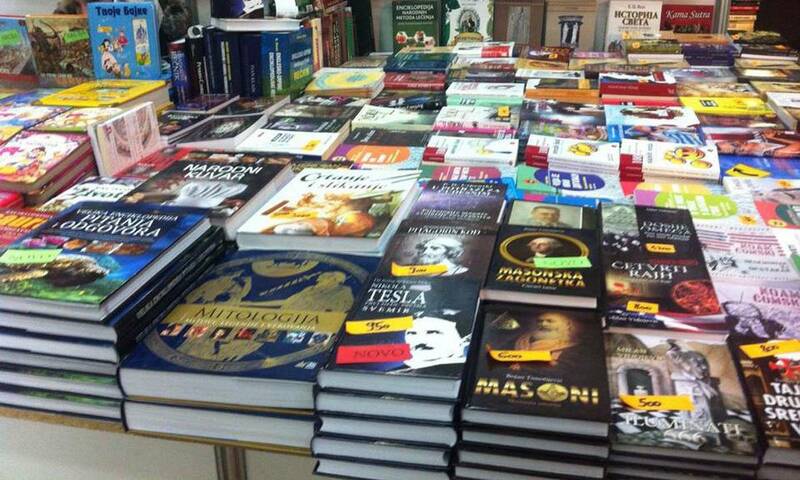 International Belgrade Book Fair is to take place for the 63rd time in a row, much to the joy of all literary authors, publishers and book lovers in the region. The period from 21-28 October is going to be the celebration of books and literature and many followers of this art are anxious to see the official opening of this event. The size, popularity and importance of this book fair are the facts which make it one of the three most prominent events of this type in Europe. Last year, the fair recorded over a thousand participants, with 500 of them being publishers from Serbia and abroad, coming from 20 different countries. More than 15,000 sqm of the area was fully utilized and the total exhibition area stretched to cover around 30,000 sqm. During the eight days, more than 187,000 visitors from Serbia, the region and all around the globe attended the fair. Since 2002, the Belgrade Book Fair has dedicated particular attention to the honorary guest country-host of the fair, who will take a specially designated area and present its publishers, authors and culture. So far, the honorary guest countries have been Norway, Canada, France, Great Britain, the USA, Italy, Japan, Greece, Sweden, the Portuguese language, Hungary, Poland, China, Russia, Iran and the countries from the German language area. This year, the honorary guest country will be Morocco. The Book Fair is traditionally opened by some of the relevant local authors, and in the past years some of the most awarded authors who officially marked the opening of the Fair were Svetlana Velmar Janković, Vida Ogrnjenović, David Albahari, Ljubomir Simović, Dušan Kovačević, Dragoslav Mihailović, Dragan Velikić, Laslo Vegel and other prominent authors and literery figures. It is also a tradition that every year the Fair hosts some of the most relevant and recognized authors worldwide, so in the previous period these were Erica Jong, Tony Parsons, Peter Handke, Patrick Besson, Natsuki Ikezawa, Charles Simić, Elizabeth Abbott and others. This cultural event is particularly important for Belgrade, perhaps the most important one, as it brings so many distinguished literary and publishing figures to our capital. Its importance for the region is also high, as in addition to the rich offer of books at affordable prices, the fair is also a place where a number of programmes will take place, such as debates, lectures and conferences. Also, the fair is the possibility for all the publishers to catch up with the latest developments in the publishing world and meet their counterparts and get to know the most popular authors. If you are among the ones anxiously waiting every year for October to satisfy their literary needs and you’re also planning to visit Belgrade specifically for this fantastic event, we suggest that you choose a place to stay in Banovo brdo area, ideally located and near the Belgrade Book Fair, so you can easily start your literary pilgrimage under the roof of Belgrade Fair building. You should, by all means, check out all other apartments offered to you by Novi apartmani and find the one that suits you most.